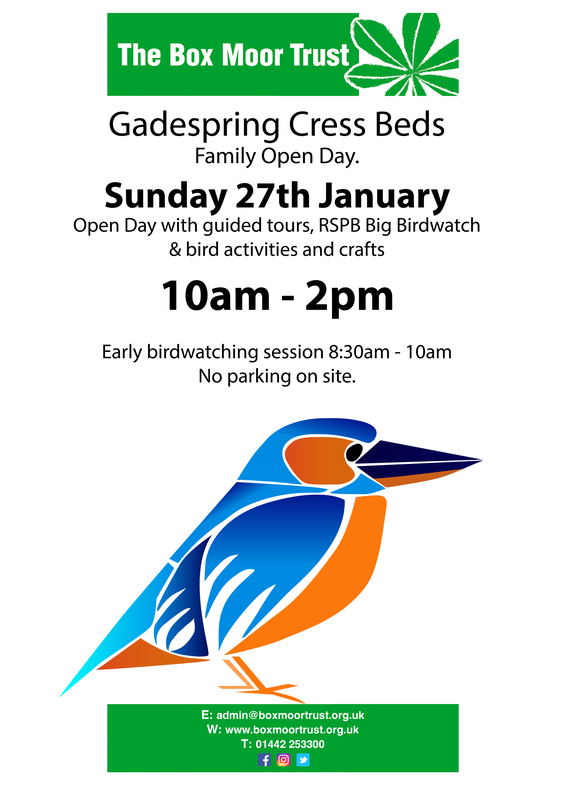 Our first Gadespring open day is this coming Sunday, the 27th January! We’re starting 2019 of with a bang; not only are we having an early morning bird watching session but we’re also running some bird based activities and crafts to tie in with the 2019 RSPB Big Garden Birdwatch. 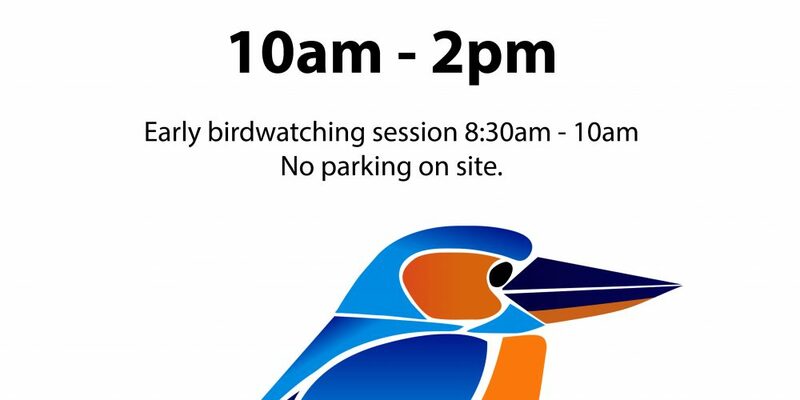 The early morning bird watch will run from 8:30am – 10:00am whilst the activities, crafts and tours of the start run from 10:00am – 2:00pm, we hope to see you all there! Gadespring is the site of a former watercress farm located in the Boxmoor and Chaulden area of Hemel Hempstead. The four acre cress beds site is situated on the south side of Chaulden Meadow, between Camelot Rugby Club’s pitches and the Grand Union canal (which runs parallel with the site) and is adjacent to Old Fishery Lane, which runs off Chaulden Lane and Northridge Way. Acquired by the Box Moor Trust in 2011, the four acre site will continue to be managed sympathetically for the benefit of wildlife and visitors with the goal of creating a new local nature reserve for Hemel Hempstead.